Is God really real? And how can we know if anyone's experience of God is actually valid? 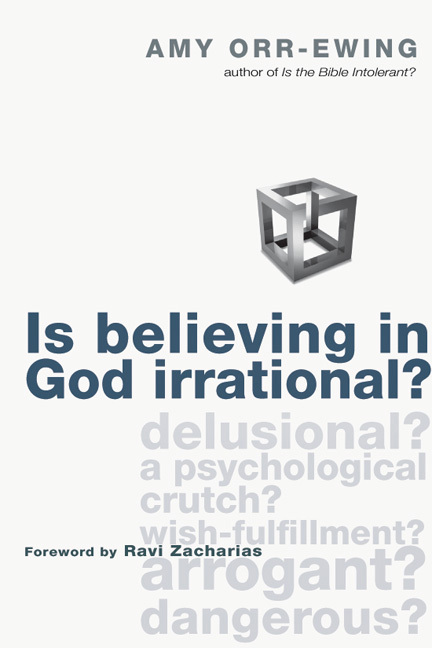 Skeptics today are increasingly vocal in their assertion not only that God is unverifiable, but also that believing in God is irrational and even dangerous. Even those who believe wonder if they can speak objectively about the actual reality of God or if they can only appeal to a subjective belief in God. Amy Orr-Ewing addresses key questions and objections that many people today have about God. 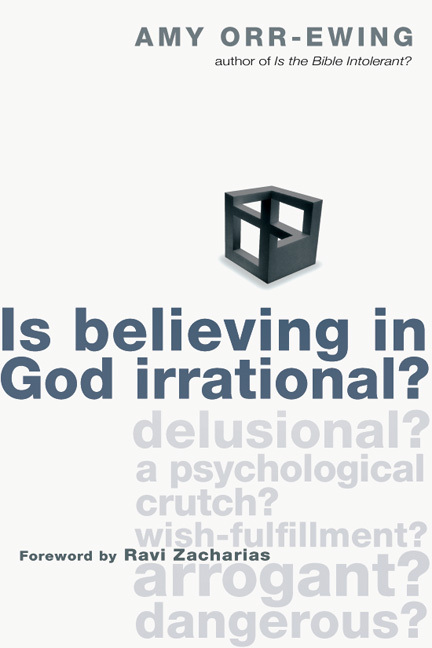 She explores whether our understanding of God is delusional or merely a psychological crutch. She probes whether the Christian claim to a unique personal relationship with God is plausible in light of other world religions, and how anyone can continue to believe in God in a world of pain and suffering. If you have questions about God, you're not alone. Come consider some possible answers. "Amy Orr-Ewing is one of the foremost British evangelists and apologists of our generation. Her writings are clear-thinking, thoughtful and persuasive." "Brilliant. . . . Defends the truths of Christianity with grace and intelligence." "A provocative, informed and challenging book, which is certain to stimulate thought and conversation." "A time of cynicism and shallow slogans is the church's time of opportunity. This book helps us water hard ground and plant seeds that might take root and bear fruit. Here is a guidebook that is elegant, understandable and necessary in our time. Please study it, and disseminate such thoughtfulness in a hurting world." "Amy Orr-Ewing takes you on a journey to where the soul is at home with its hungers of mind and heart fulfilled. . . . She lives her message and is a powerful example of the truths she presents. She meets the test of reality, and that is what makes this book so arguably real." "If you are looking for a book that will help you converse with skeptics and nonbelievers, this book is a needed tool." Orr-Ewing's perspective is useful for gaining an overview of contemporary Christian apologetics. Overall, this is a tool for ministry staff who assist adolescents or adults in navigating intellectual questions. For any Christian who has ever felt challenged in witnessing with confidence and without fear. It will strengthen your biblical worldview and show the strong foundation on which your faith lies. I highly recommend this inexpensive gem. Amy Orr-Ewing is knowledgeable and able to convey that knowledge without drowning the reader with excessive verbiage. She provides a good balance bewtween the academic and conversational approach. Both affordable and hard-hitting. Author Amy Orr-Ewing does a great job in this book answering questions based on her discussion and presentations to today's young people. Her book manages to include her encounters with people and then she offers rational, thoughtful and experientially relevant answers to the posed questions. An honest approach to the questions we all seek as a disagreeing lump of people. Amy Orr-Ewing provides a needed raionale for my faith when I am confronted by doubt. One fo the most articulate of modern apologists. A poignant apologetic to the postmodern idea that Christianity is purely subjective and emotional. 1. What About Other People?s Genuine Experience of God? 2. Your "Experience of God" Is Delusional, Not Real . . .
3. Your Relationship with God Is Just a Psychological Crutch! 4. How Can You Say You Have Found the Truth if You Haven't Tried All the Alternatives? 5. If Christianity Is About Relationship with God, Why Does He Let Bad Things Happen to His Friends? 6. If Christianity Is About a Transforming Relationship with God, Why are Christians So Bad? 7. If God Is So Loving and Relational, Why Did He Go Ahead and Create When He Knew People Would End Up in Hell? 10. How Can I Know? Amy Orr-Ewing is the UK Director for RZIM Europe and Curriculum Director for the Oxford Centre for Christian Apologetics. She gained a first class degree in Theology at Christ Church, Oxford University before receiving a Masters degree in Theology at King's College, London. 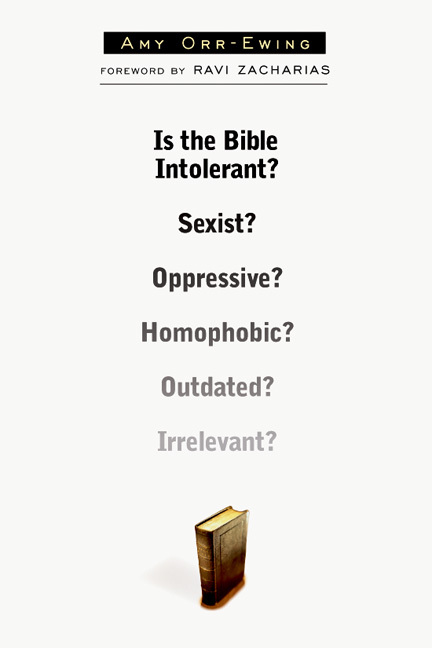 Amy has written a number of books, including two that explore key questions in apologetics: Is the Bible Intolerant?, which was shortlisted for the 2006 UK Christian Book Awards, and Is Believing in God Irrational? Her most recent publication is Millennials, which was co-written with her husband Frog in 2010. Amy is also now a regular columnist for Christianity magazine. 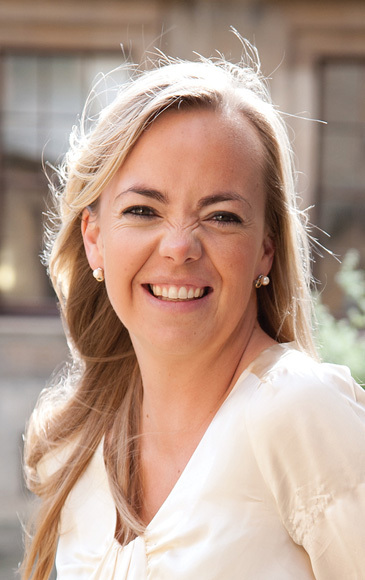 Amy speaks and lectures on Christian apologetics worldwide at events such as Keswick Convention, New Wine, and the European Leadership Forum, Hungary. Amy lives in Buckinghamshire with her husband Frog and their three boys where they have recently planted a new church called the Latimer Minster.